스바코프문트, 나미비아의 스켈레톤 비치 백팩커스 | 호스텔월드에서 예약하세요. 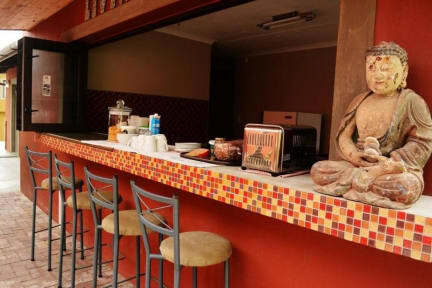 Skeleton beach Backpackers offers camping, dormitory and double en-suite rooms. Breakfast is included in the price of the rooms but can be requested by other guests as well. There is a fully equipped communal kitchen for those times when guest want to prepare their own food, a lounge with DSTV and free WIFI. Skeleton Beach Backpackers is situated in a garden setting with a lush lawn, palm trees and flowers. 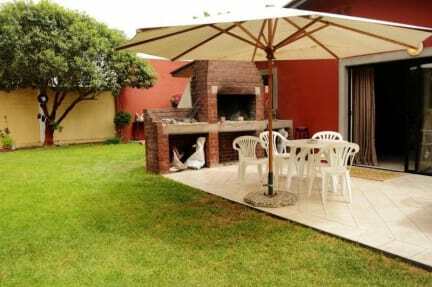 There is plenty of place to relax outdoors and a barbeque area for cooking under the stars. We don't have a check in time but our check-out time is 10h00am. It was good to stay. WIFI connection was good, and staffs were kind and helpful. Simple breakfast included.